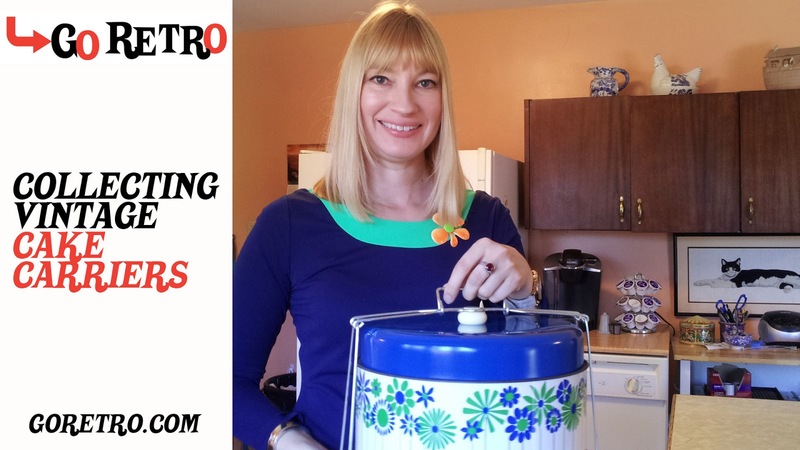 I posted a video earlier today on Go Retro's YouTube channel where I talk a bit about vintage metal cake carriers from the 1940s through the 1970s. I show you my collection...which consists of one cake carrier (ha!) but you know, I think I picked the best design of the bunch (and I even wore a dress to match it.) So while this is hardly an earth shattering video, maybe it'll pique your interest about adding one of these former kitchen staples to your home. They're fairly cheap, fun, easy to find online...and who doesn't like cake? For some reason, my video editing software is chopping off a few extra seconds of where I've made the trim, so just FYI the video ends a few seconds early. Hey, I'm getting better at this. That's funny that you mentioned Tupperware. I think that is the only sort of cake carrier I recall seeing when I was a kid. This would have been early-mid 1970s.